Limestone and travertine pavers are chosen for outdoor applications because of their natural beauty and durability. Deciding which of these products is best for your outdoor space is easy when you understand the benefits and drawbacks of each option. The overall style, product cost, maintenance, and longevity all play important factors in selecting the ideal pavers to complete your project. Both travertine and limestone are found on the floor of oceans, lakes, and other bodies of water. Settled shells are compacted over time to create calcium carbonate. Some pressure creates travertine. Under more extreme heat and pressure, limestone is created. When it comes to cost, travertine is a very affordable way to add natural stone to an indoor or outdoor space. Limestone is more expensive of a product but provides a longer lifespan, which can make the initial cost a better long-term investment. Travertine is a natural sediment-formed material largely made up of calcite, a naturally soft material. This matte-finish material is naturally porous, making it brittle, easy to stain, and capable of cracking in extreme weather conditions. This makes it less suitable for outdoor use in cold climates that experience frequent freezes. When used outdoors, the pores in the material help to absorb water, keeping the surface of the deck or patio dryer on rainy days. If that absorbed water freezes, however, it can put pressure on the tile and cause it to break. Limestone is a natural stone that has hardened over more extreme pressure and heat. Because it is denser, limestone is a more durable option than travertine. Visually, limestone is more solid in color, with fewer striations and variations within each piece. The strength of travertine makes it less likely to crack or break when used outdoors. 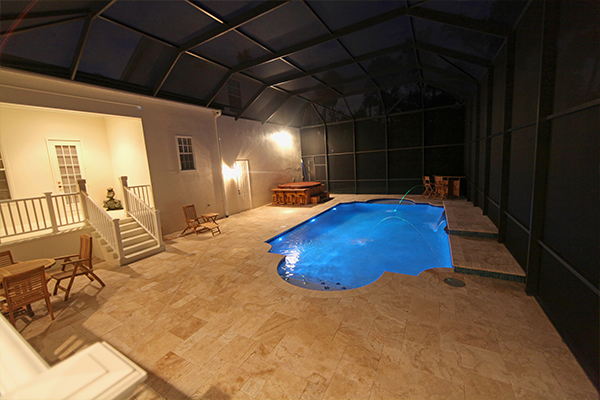 Its less porous design also makes it a popular choice for pool decks. Like any flooring, both travertine and limestone pavers require some standard maintenance. Even with proper maintenance, both travertine and limestone are porous, natural stone products that can scratch and stain easily. If you are willing to take the time to reseal your floors regularly, travertine may be a good option. When you are looking for a lower-maintenance solution, limestone is clearly the winner. Travertine tile requires a layer of sealer to prevent staining and surface damage. On average, travertine floors will need to be resealed every 3 to 4 months. In between, regular sweeping, vacuuming, and mopping is required. If your travertine does not have a concrete or resin filler, dirt easily collects in the natural pockmarks of the stone. Like travertine, limestone should be sealed. Fortunately, the smoother surface and the lack of pockmarks makes it much easier to keep clean. Sweeping, vacuuming, and mopping will remove all dirt from the surface, maintaining the light beauty of the natural stone. Resealing is required on occasion, but not nearly as frequently as travertine pavers require. Both limestone and travertine are fashionable products but limestone is absolutely better suited to high-traffic areas. Travertine is formed under less pressure than limestone, making it naturally more brittle. It also has a tendency to chip or crack, especially under extremely hot or cold temperatures. The most damage will be seen in the higher-traffic areas of your space. Limestone, on the other hand, is extremely durable, making it a better choice for flooring in high-traffic areas. It is much less likely to crack, chip, or break in both indoor and outdoor applications as well. To keep both types of flooring protected in the highest-traffic areas, consider topping the pavers with a welcome mat, area rug, or runner. Both travertine and limestone can make a lovely option for flooring both inside and outside the home. Travertine’s captivating variations of color and lower price point makes it ideal for whole-house flooring and a popular way to update the floors and walls of an elegant bathroom. 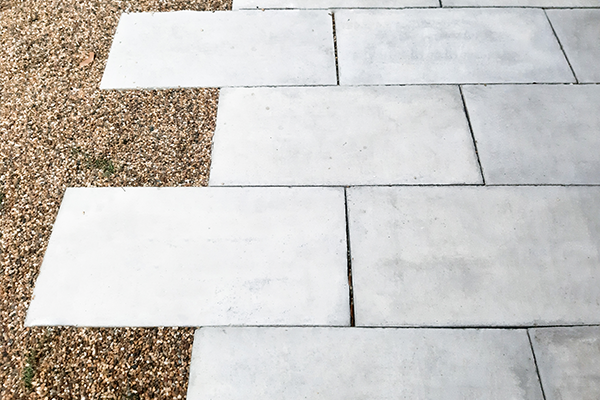 Limestone provides the same sophisticated look with enhanced durability that makes it better suited for high-traffic areas and outdoor applications. 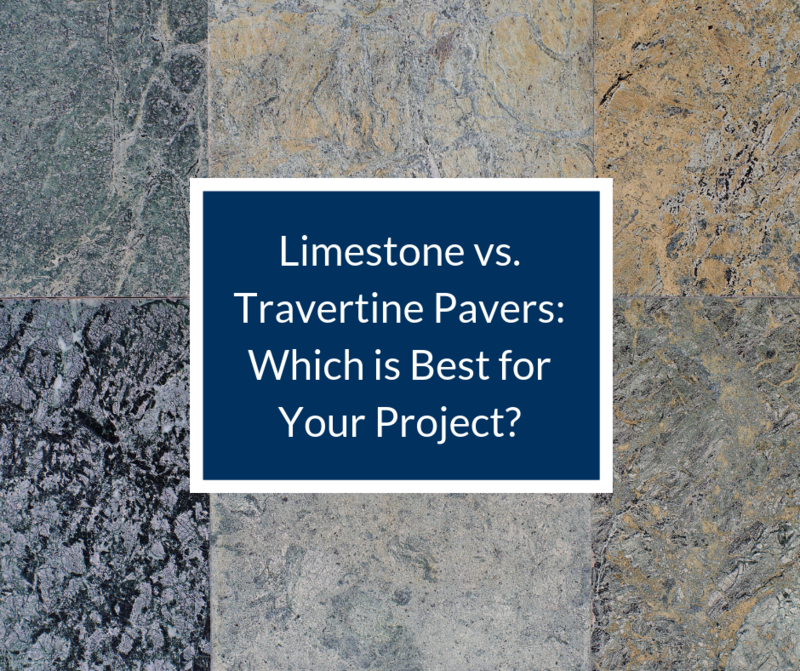 When selecting the right product to complete a project, consider the colors, costs, maintenance, and lifespan of each one to discover the paver that will best suit the needs of the space. Pavers are often chosen to complement the rest of the home in color. Travertine color most often features warm yellow color tones with interesting vein patterns and striations. Limestone pavers provide more variations in colors and can be beige, tan, or cream in hue. Travertine tile is very porous in nature and can feature large pockets or gaps. Resin fillers are added to travertine to fill these gaps and provide a smoother finish. Over time, the resin does run the risk of separating from the stone, especially in cases where it is exposed to extreme heat. Heat sources, such as under-floor heating elements can also cause the resin to break down and separate. Travertine pavers without resin fillers are also available and typically used only for outdoor projects. Limestone, although still porous, does not have the large gaps that naturally occur in travertine, making resin fillers unnecessary. Because limestone does not contain fillers, it makes an excellent pairing for under-floor heating elements.